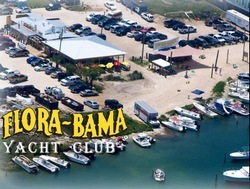 The Flora-Bama Yacht Club has become almost as legendary as the bar across the street. Guest and food critics are always amazed at the unique and scrumptious offerings on the menu. When you combine the food with the warm service, fantastic waterfront settings and live music... well it doesn't get any better.